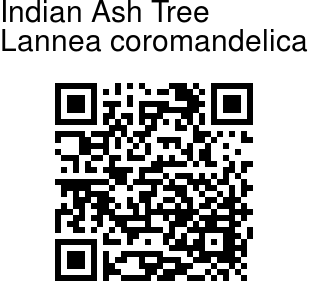 Indian Ash Tree is a deciduous tree, growing up to 14 m tall. Branchlets are minutely covered with starry hairs. Alternately arranged leaves are pinnate, with a single terminal leaflet (pinnae) at the end. The spine carrying the leaflets is up to 7 cm long. Leaflets are usually 5, each laterals opposite, ovate, base rounded, densely velvet-hairy when young. Flowers are unisexual, greenish, the male in compound and female in simple racemes. Sepals 4, about 1 mm long, broad ovate. Petals 4, 2 mm long, oblong, green yellow. Fruit is ovoid, compressed, in panicles, at the end of leafless branches. 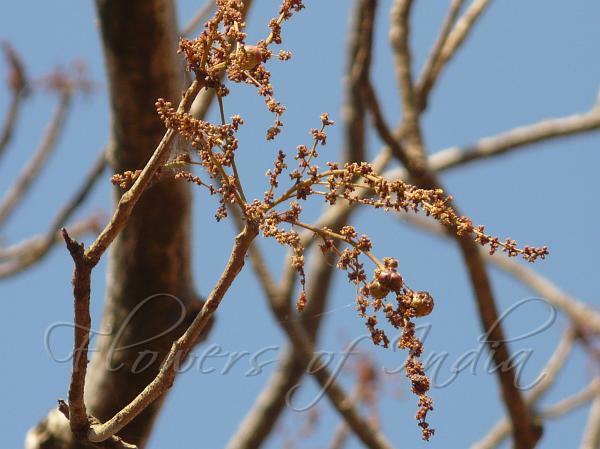 Flowering: January-March. Identification credit: Dinesh Valke Photographed at Tungareshwar Wildlife Sanctuary & Mumbai, Maharashtra.